Style and practicality seldom go hand in hand – that is, unless you’re talking about speakers from Logitech-owned Ultimate Ears’ stable. 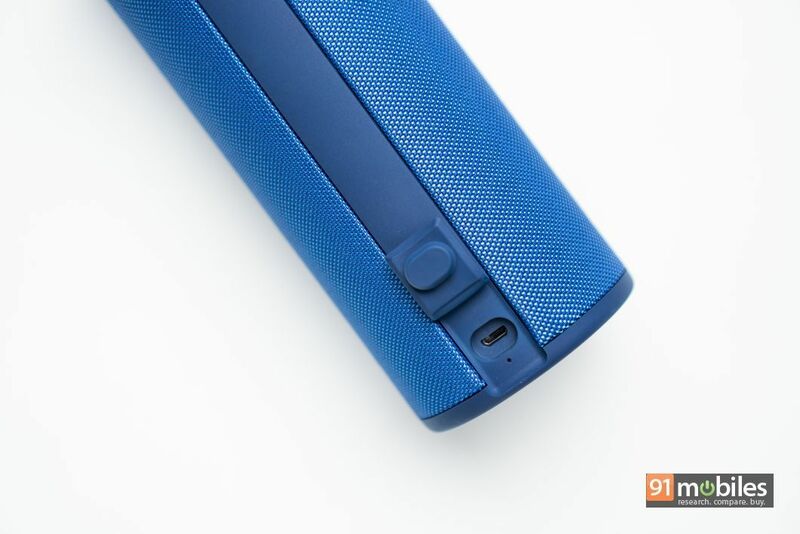 For years, the company has produced class-leading, robust Bluetooth speakers with spiffy designs and recently, the brand announced its latest product in the Indian subcontinent. Dubbed the Ultimate Ears Boom 3, the unit ships with some interesting tricks up its sleeves, but do they warrant a purchase? Well, that’s what I’m here to find out. Read on. It’s easy to spot an Ultimate Ears speaker in the wild — all you have to do is look for a cylindrical device with a woven-fabric finish and two ginormous plus and minus buttons on the front. That’s essentially what you’ll get with the Boom 3 too, albeit with a few subtle changes. 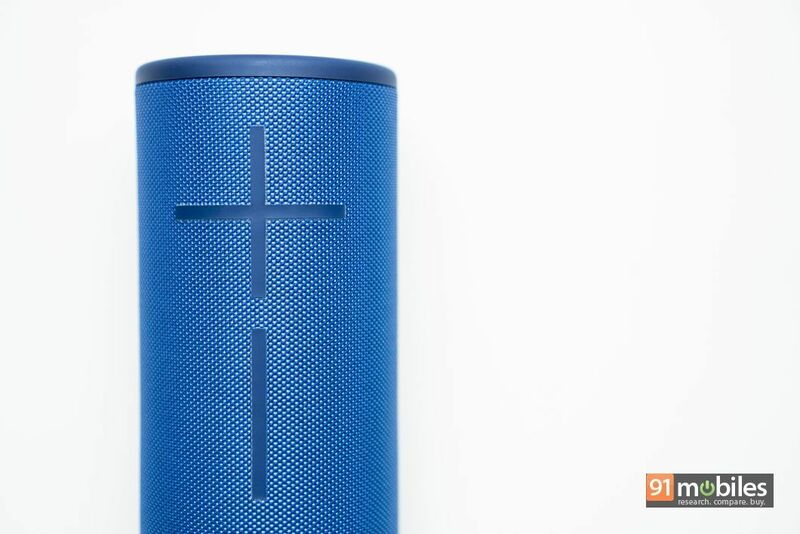 For starters, unlike the UE WondeBoom and Megaboom I reviewed a while back, the fabric finish on the Boom 3 sports a finer weave which lends it a subjectively better design. Moreover, in contrast to its predecessors, the volume buttons on the Boom 3 have been integrated into the woven-fabric finish of the speaker, which does wonders for the unit’s overall aesthetics. A fringe benefit of the same is that the speaker can now deliver more accurate 360-degree audio, but I’ll talk more about the sound quality in the subsequent sections. 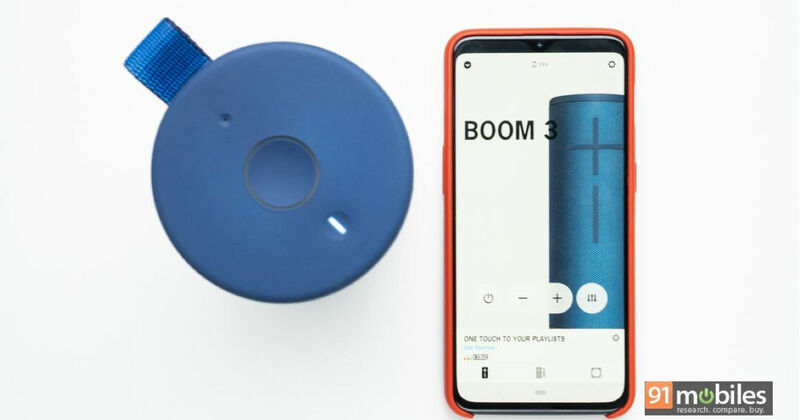 Coming back to the design, the Boom 3 is, in the company’s own words “virtually indestructible”, and for once, I don’t disagree with the brand’s tall claims. The woven-fabric material which encompasses the entirety of the speaker’s chassis has been constructed from materials used to manufacture biker jackets and fire equipment. If that’s not enough, then the speaker also boasts a shock-proof rating of up to 1.5m, making it a godsend for clumsy users such as myself. 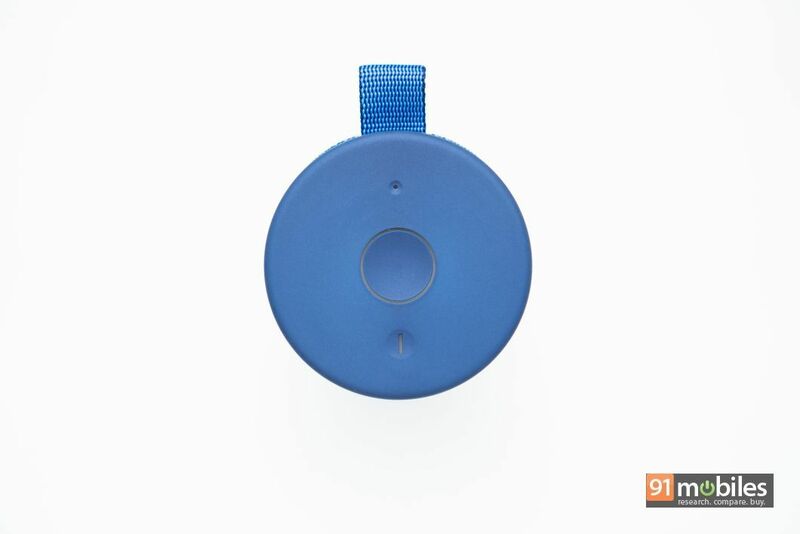 Then, there’s the IP67 rating which lets you submerge the Boom 3 underwater for up to 30 minutes. And yes, you’ll have to drown the speaker because lo and behold, it floats too! What’s more, the unit is compact enough so you won’t have to fuss about it taking too much space in your backpack either. Coupled with the multitude of colour options and its funky design, the UE Boom 3 will make for a fantastic speaker to take with you when you’re out and about. As for the I/O, the speaker ships with two huge volume toggles on the front, along with a ‘magic’ and a power button positioned towards the top. The power button is pretty self-explanatory however, the magic button serves various functions and you can use it to play/pause a track, or skip between different songs. You can also sync your favourite playlists on Apple Music to the button but unfortunately, the feature is limited to iOS users only. One of my biggest qualms with the Boom 3’s design is that the speaker still makes use of a micro-USB port for charging. Granted, the port is now in a much more convenient position but I would’ve still liked to see the company employ the USB Type-C standard on its latest offering. 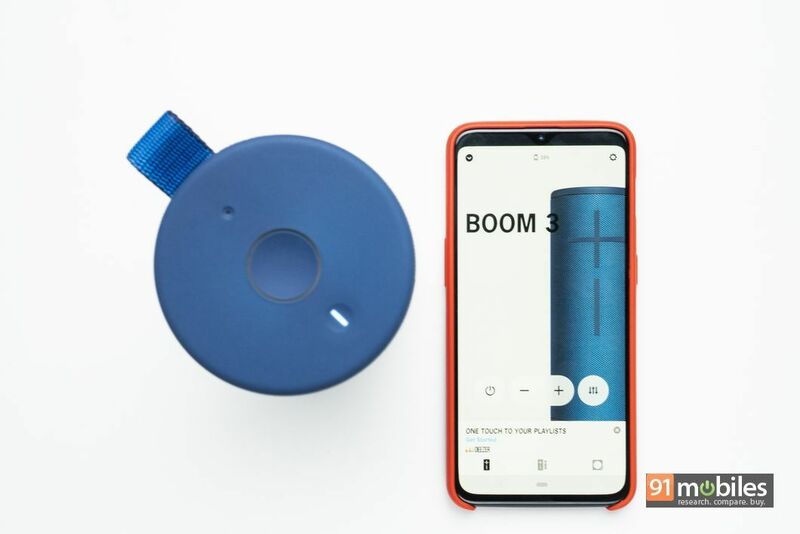 The brand somewhat makes up for it by making the Boom 3 compatible with its Power Up wireless charging dock, but you’ll have to purchase it separately. The Ultimate Ears Boom 3 is backed by two 2-inch drivers and two 4-inch passive radiators. 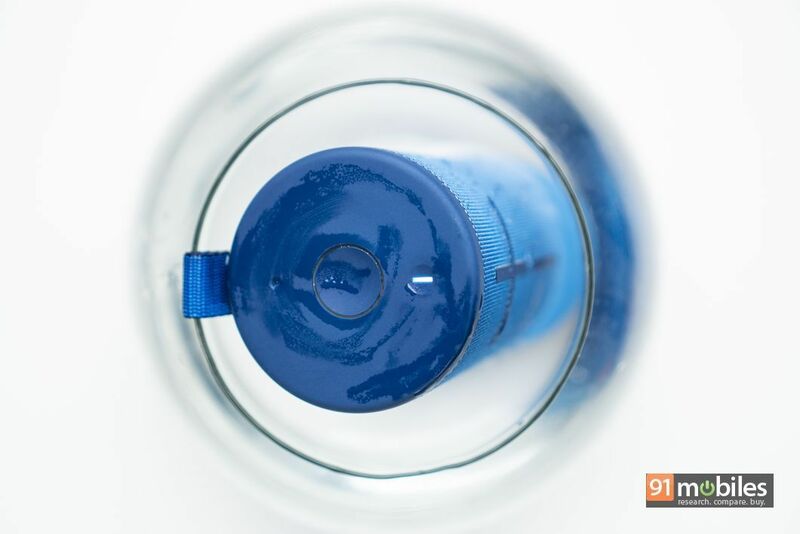 The unit boasts a maximum sound level of 90dBA, which should give you a good idea of how loud the Boom 3 can get. In fact, at just 60-percent volume, the Boom 3 can comfortably fill a medium-sized room. So, if you want a compact Bluetooth speaker with ‘booming’ sound, then you can’t go wrong with the Boom 3 from Ultimate Ears. That said, despite shipping with two passive radiators, the speaker’s low-end output leaves something to be desired. While you’ll certainly feel the kick from the beats in your favourite EDM tracks, they lack the depth and the roar you’d get from say, the LG XBoom Go. In the company’s defense, the Boom 3 is quite compact and therefore, there’s really not much room for the coil to move inside and churn out deep sounding bass. On the flip side, the speaker does a fantastic job of reciprocating a track’s mid-range and vocals from your favourite singers will sound rich and lively. As for the highs, provided you’re not maxing out the speaker’s volume, you will be able to get away with some details in songs from the rock/metal genre. Else, you’ll struggle in telling one instrument from the other in a busy rock ballad. 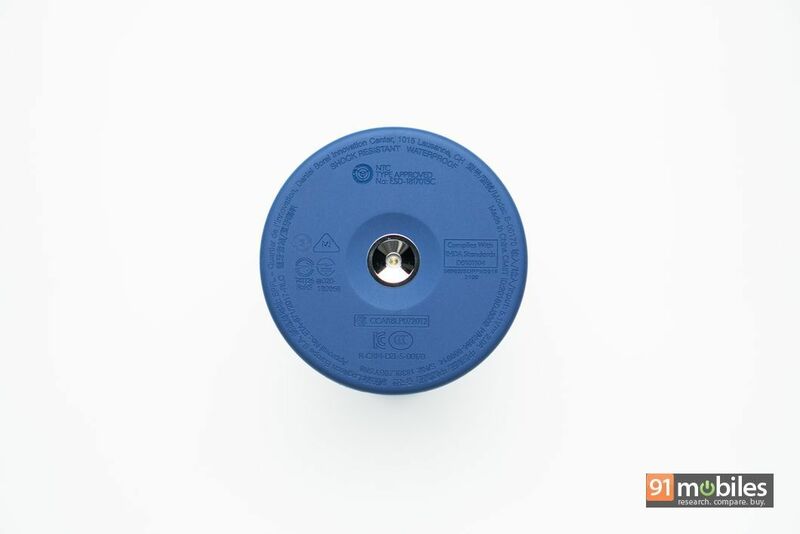 Now, if you feel that the music coming out of the speaker needs some tweaking, then you can do so through Ultimate Ears’ companion app for the Boom 3. The app features a custom EQ preset which you can play with to fine-tune the speaker’s sound signature. What’s more, you can even pair up to 150 speakers to the Boom 3 in party mode using the companion app. And, that support isn’t just limited to Ultimate Ears’ current lineup as it is backwards compatible with the brand’s offerings from yesteryears. As for the battery life, UE claims that the Boom 3 can last over 15 hours off a single charge, but in my testing, I was looking for a charger after around 10 hours of use. That said, I was blasting music through the speaker at a really high volume, so your mileage may vary. 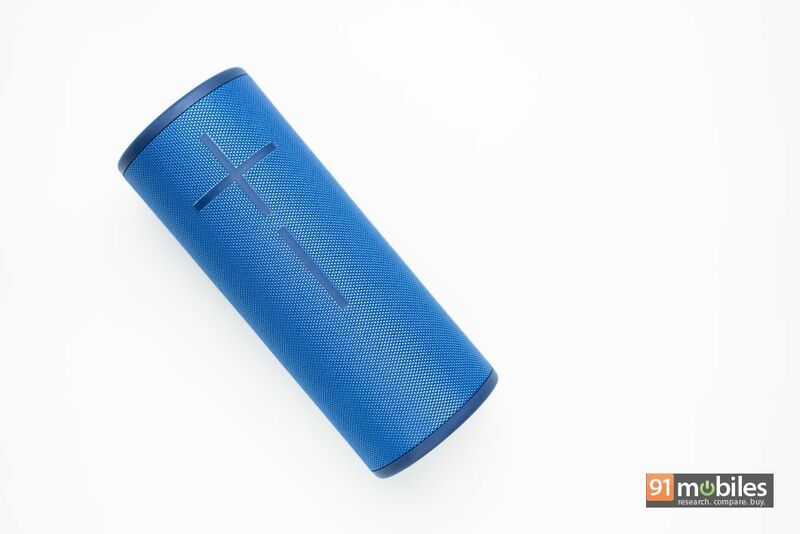 The Ultimate Ears Boom 3 retails for Rs 15,995 and brings forth some solid upgrades over its predecessor. With the unit, you’re getting a compact, rugged, go-anywhere Bluetooth speaker which gets audaciously loud. The sound quality is quite impressive too, although I would’ve liked to hear more depth in the low-end frequencies. That said, the biggest qualm I have with the unit is its price, which simply put, is just not competitive enough. For almost half the price, buyers can instead opt for the JBL Flip 4 which although isn’t as rugged, offers a slightly better sound signature and similar battery life. One could even opt for the previous-gen Boom 2 as well, which is relatively cheaper and offers pretty much the exact same features. 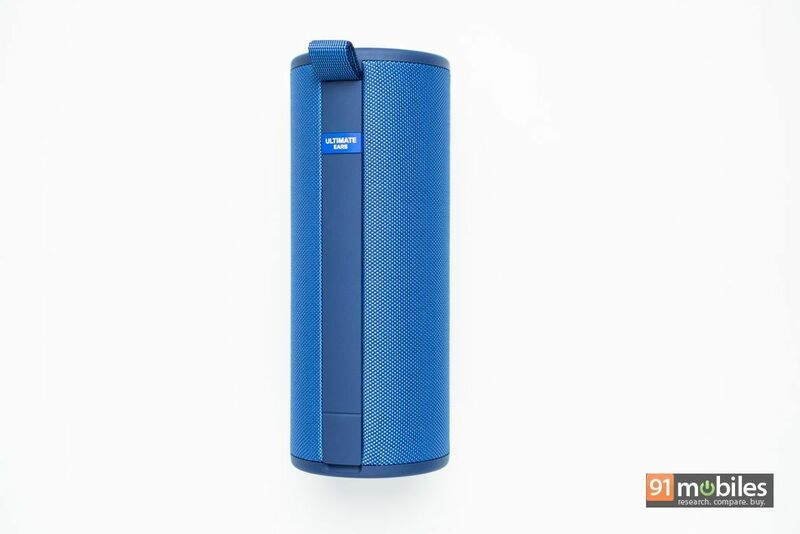 Consequently, while the Ultimate Ears Boom 3 is a fantastic portable speaker, it would’ve been a much more enticing option had its price been slightly less.